New ZDX/J37 to mustang bolt pattern adapter now available. 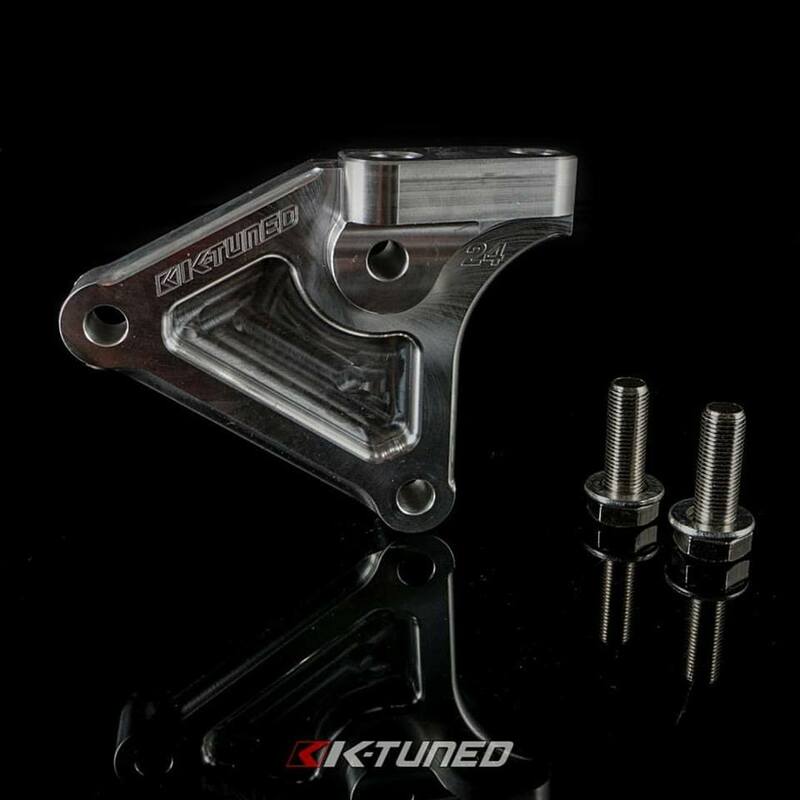 For those guys wanting to run big race manifolds like our Side Feed or Center Feed manifold in their 8th Gen / 9th gen etc that need to use electronic throttle body. O-ring seal on the back and thermal gasket included as well as hardware. 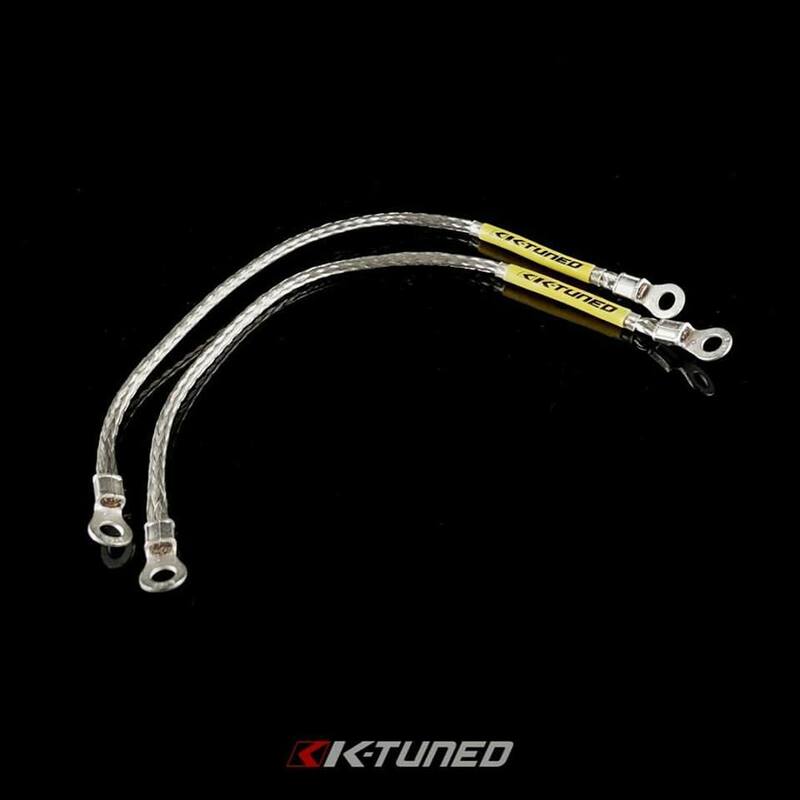 New K-Tuned Ground Straps. With the success of our tucked engine harness and seeing some ugly grounds we knew what had to come next. These come in a set of two. One for transmission and one for engine. They're 11" long and use M6 bolts. It's a quick and easy install and a VERY important part of your car. Poor grounds can cause countless problems. Replace those corroded grounds now. All new K24 Post Mount. 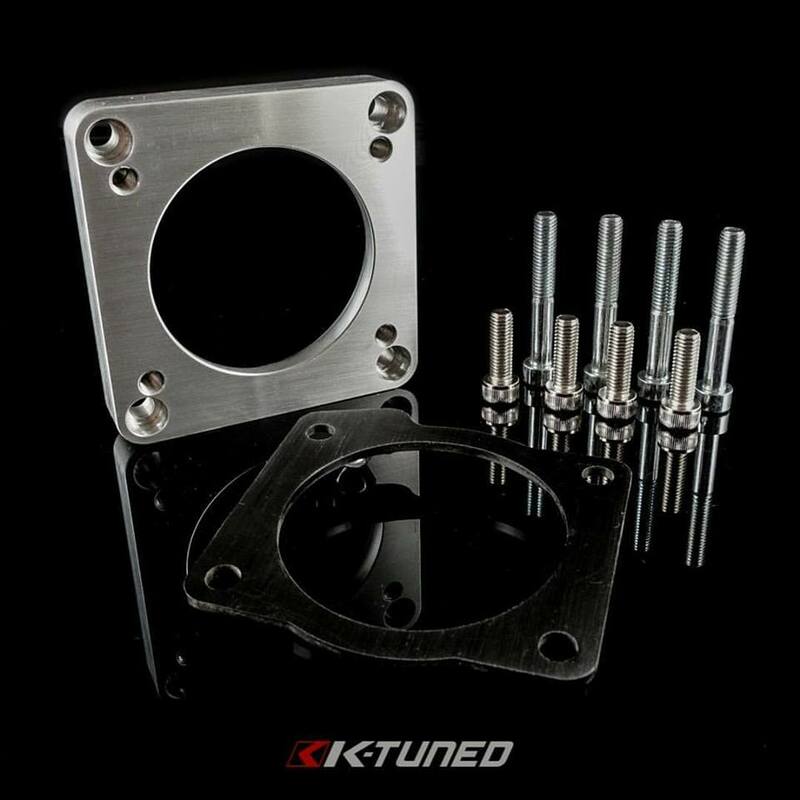 We've received so many requests to offer our current K24 post mount without the extra holes needed for our Side Mount Pulley Kit and today is the day. The new design is lighter and sleeker. It can be used with OEM auto tensioner without a problem. We include mount bolts and both threaded holes are HeliCoiled to reduce the risk if stripping.